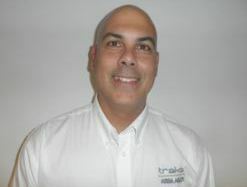 Traka USA has chosen Danny Garrido as its new General Manager to spearhead the US market. Since Traka USA introduced its line of key management systems and solutions to the United States in 2008, the company has achieved massive success. Originating in the United Kingdom and looking to continue expanding its industry growth in 2013, Traka has highlighted the US as a primary focus for the coming years. “Sometimes the stars really do align,” says Garrido. “We have ambitious and exciting plans under way on several fronts. In addition to the acquisition by ASSA ABLOY, we have now bolstered our resources and leadership expertise, better preparing ourselves to enter into new partnerships, channels and move even further into the desired sectors.” With its already impressive and growing client list, Garrido is expected to lead the planned growth of Traka USA in coming years. He brings with him almost 15 years of experience in the security industry, having spent the majority of his career with security giants ADT and Brink’s where he grew the dealer program 150 percent in five years. He is looking for similar success with Traka USA. John Kent, president and founder of Traka commented: “Traka grew 32 percent as a global organization in 2012 and we realize that the US market is our most significant growth opportunity for the upcoming years. We have huge emphasis on delivering a complete solution and providing the highest level of customer satisfaction and with Danny’s background and our connection to the might of ASSA ABLOY we are well positioned to continue this growth. We have some of the world’s largest and most important businesses using our products and now our challenge is to deliver the message to the many organizations that are unaware of the benefits that Traka can bring.” With Garrido leading the team at Traka USA, they are looking to deliver their unique products and the highest level of customer support to take an even bigger share of the domestic key and access management markets, both direct and in conjunction with a high quality reseller base.